THE MOST UGLY CHILD: For the last five years The Most Ugly Child have travelled the length and breadth of the UK leaving a trail of broken hearts and broken tables in their wake. 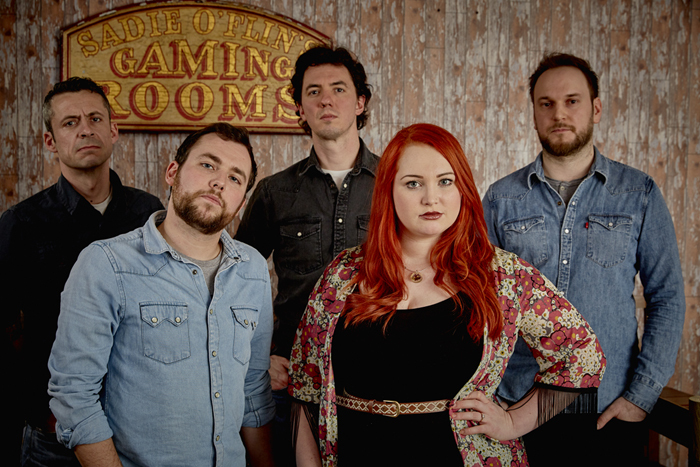 Their 2014 debut EP ‘A Wicked Wind Blows’ and debut album release ‘Copper And Lace’ in 2017 introduced them to hungry fans in search of ‘real country’ music. These disillusioned country music fans, tired of the mainstream music coming out of Nashville have found a group of musicians in the UK, America and Canada and are tireless supporters of them. The Most Ugly Child play country music the way it’s supposed to be, with battered hearts on their sleeves. The band centre around the songwriting partnership of Daniel Wright and Stevie-Leigh Goodison, backed by Max Johnson (Bass), Matt Cutler (Drums) and guitar virtuoso, Alex Farran. Over the years they’ve refined, re-defined and perfected their sound into a thing of heart-wrenching beauty and grit that can bring you to your knees with a song or have you up on the tables howling at the moon. Currently working on new material for that difficult second album the band are set to go into the studio in the Spring of this year.